Fusing funk, electronic, soul, rock, and rap into an electrifying and inimitable blend, Detroit artist Black Milk redefines the parameters of hip-hop. 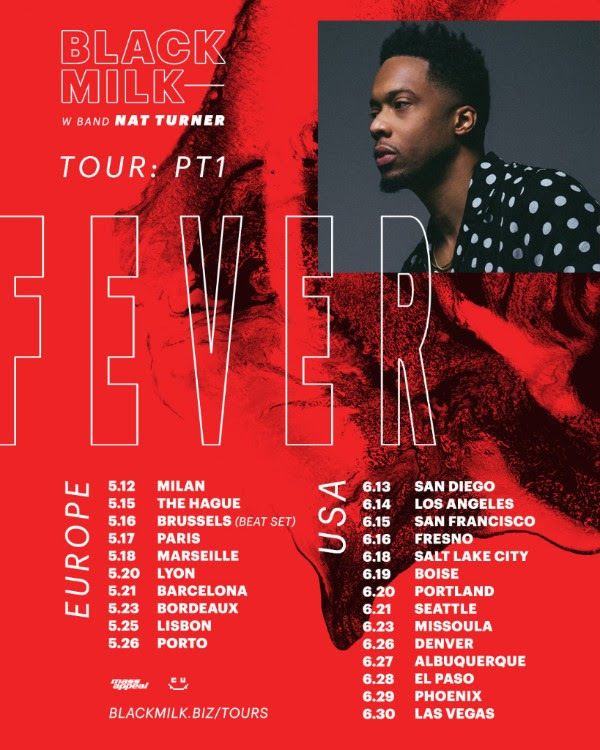 Reuniting with his powerhouse backing band Nat Turner, BlackMilk announces the FEVER Tour, a 24-date tour spanning Europe and the United States. Featuring the thunderous rhythm section of Malik Hunter on bass and new addition Daru Jones (formerly of Jack White‘s live band) on drums, and with brilliant accents and solos from Aaron “Ab” Abernathy on keys, a Black Milk concert is an unforgettable live experience, with the rapper directing traffic and bringing new energy to his catalogue. Kicking off in May, the tour will start with European dates in Italy, The Netherlands, Belgium, France, Spain and Portugal, before heading to the US West Coast on June 13 in San Diego. The upcoming tour will find Black Milk & Nat Turner performing songs from FEVER, BlackMilk‘s acclaimed new album, which Pitchfork praised, saying “FEVER continues the Detroit rapper/producer’s expanding live hip-hop jazz-band tradition and leans into psychedelic neo-soul in the process, something like P-Funk meets the Ummah.” Buy tickets for the FEVER Tour here, with Midwest/East Coast tour dates coming soon. 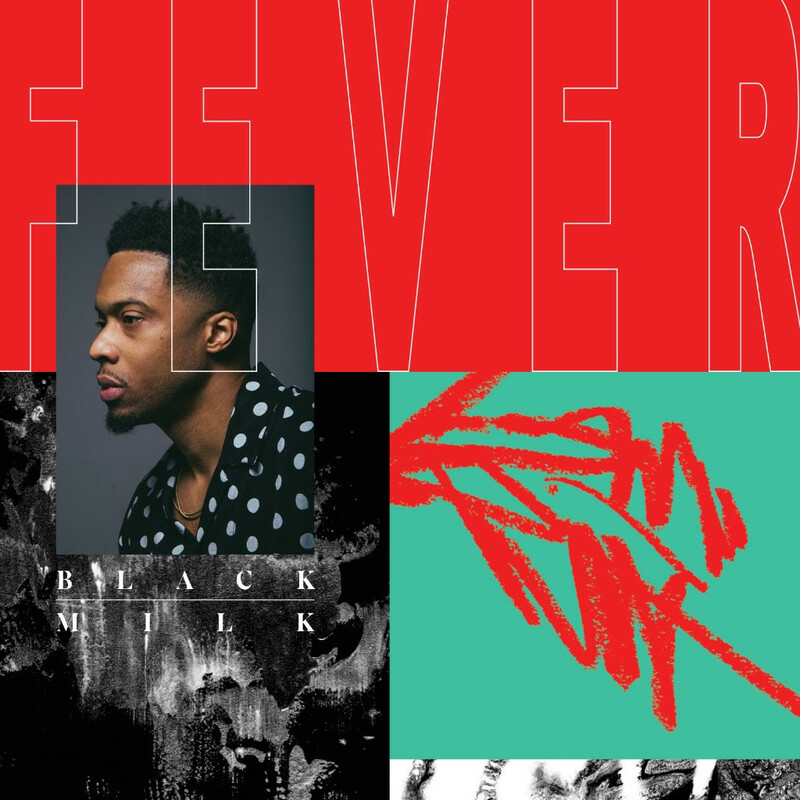 A cohesive 12-track project that touches on vital issues such as racism, social media addiction, among others, listening to FEVER evokes the feeling of scrolling through an endless news feed, finding BlackMilk reporting and commenting on the world’s problems with empathy, clarity, and wit.Black Milk‘s sixth solo rap album, and his first since 2014’s If There’s a Hell Below, FEVER combines pointed and topical lyrics and brilliant musicianship, including percussion from all-star musicians Chris “Daddy” Dave (D’Angelo, Adele, Justin Bieber) and Daru Jones, bass by long-time collaborator Malik Hunter and keys and guitar from newcomers Ian Fink and Sasha Kashperko, respectively. The album boasts the acclaimed single “Laugh Now Cry Later,“ which earned acclaim from critics, including Stereogum who said, “… we hear Black Milk’s pointed, unpretentious flow over a beat that’s full of electronic gasps and live-bass burbles. Seriously: The beat here is incredible.” Premiered by NPR in February, the “Laugh Now Cry Later” video gives us a glimpse into a-day-in-the-lives of a young couple trapped in a social media bubble where issues tug at their emotions but ultimately fail to evoke action. Featuring additional vocals from Dwele, Aaron “Ab” Abernathy, and Sudie (a producer/vocalist signed to BlackMilk’s Computer Ugly label), FEVER released via Computer Ugly and Mass Appeal Records.